At ACJ, we pride ourselves on a quality service and personal approach. Our staff are trained to handle your needs and requirements and we are there with you every step of the way to make your next move an easy one. The testimonials below are from previous and current landlords and tenants of properties with ACJ. “I have been a tenant with ACJ since 2009 and I have always found them to be most professional, helpful and friendly. “Just left a property that was my first rental and a daunting experience at the time of moving, but the team were great and made it a pleasant transition. I’m sure I asked a ton of stupid questions at the time whilst preparing and getting everything together but it never felt like I was inconveniencing anyone and the responses were always helpful and polite from anyone I came into contact with at the office. Over the two years there were a small number of basic day to day maintenance issues which were always dealt with really quickly by a really friendly engineer. As the tenancy draws to a close they have been really helpful in keeping in regular contact and basically giving me a point of contact as we bring things to a close. It’s been a help having a go to person that’s there with any concerns and responds promptly. Huge help too with extending the tenancy slightly at the last minute to help make our move out more manageable and far less stressful. Out of a score of 1 to 10, 1 being very unlikely and 10 being extremely likely, how likely is it that you would recommend ACJ to a friend? Want to rent a property with ACJ? 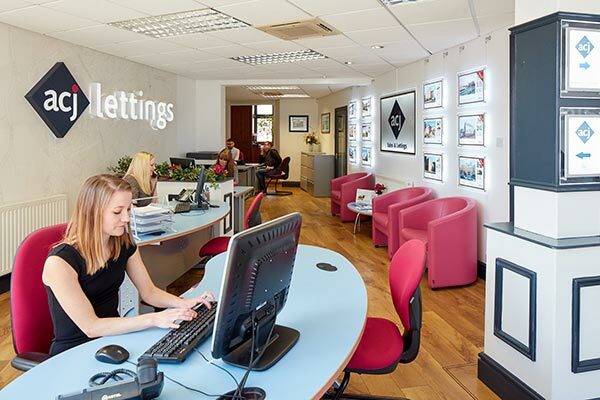 lelet As we are an independent agency, we can provide a competitive rate, along with personalised customer service and more than twenty-five years’ experience and local knowledge.